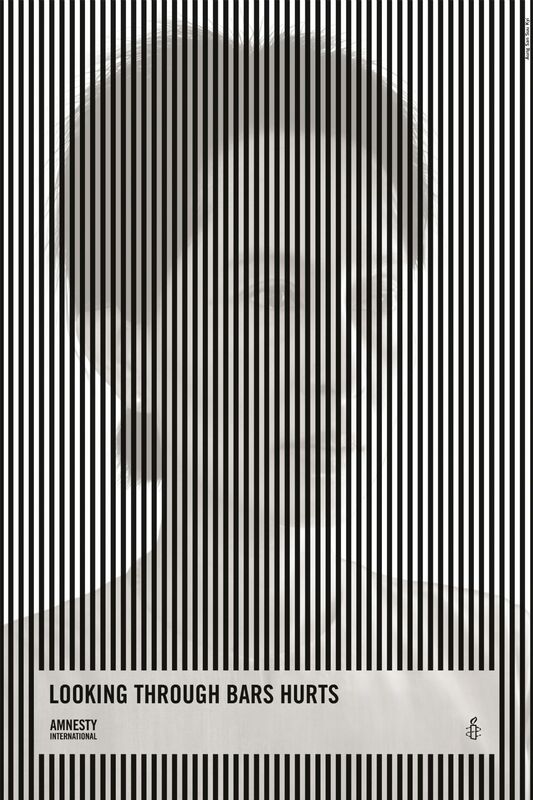 Aung San Suu Kyi appears behind bars in this optical puzzle called “Looking through bars hurts. Amnesty International.” Aung San Suu Kyi has been under house arrest in Myanmar (Burma) for 14 out of the last 20 years since a military coup overruled the results of democratic elections. Big h/t to The Inspiration Room. For more about Aung San Suu Kyi, see here.